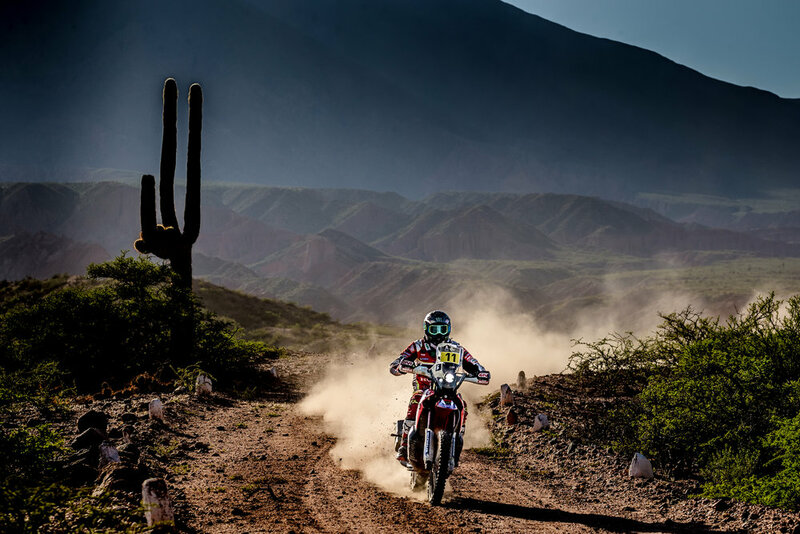 Joan Barreda emerged victorious thanks to a great tactical display in the third stage of the Rally Dakar 2017. The Spanish rider from the Monster Honda Energy Team stormed to an overwhelming victory and tops the general rankings in the process. 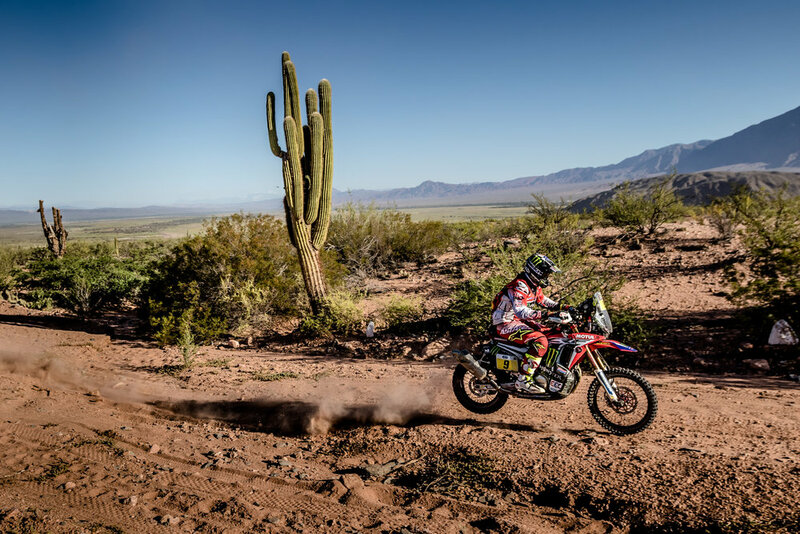 The Spaniard rode the Honda CRF450 RALLY at a blistering pace, with flawless navigation, to romp home with a massive surplus over the pursuing pack. In addition to the day’s first prize ‘Bang Bang’ now commands at the top of the overall standings. Today brought a change of scenery and the first portions of off-terrain rallying. However, it is the steep climb in altitude with passages above 5,000 metres that could wreak havoc among the competitors at the end of the day. River bed crossings, plus fast and winding tracks on the first part of the stage gave way to a finish on bumpy and trial-like terrain, requiring the competitors to remain watchful and keep their cool to avoid losing out big time on the route to San Salvador de Jujuy. 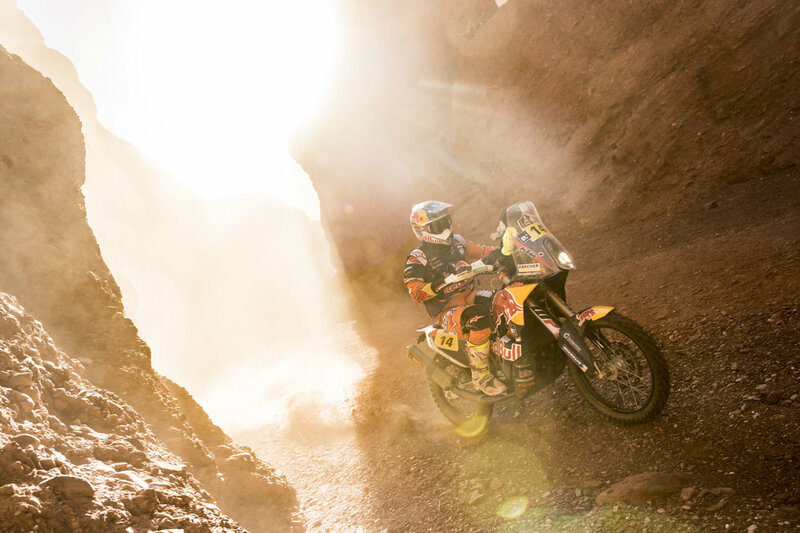 Like many riders, Sam Sunderland’s teammates Toby Price, the winner of stage two, and Matthias Walkner, both got into difficulties in the early part of the stage. They, and many others lost time in their battle against difficult navigation, fesh-fesh, camel grass and riverbeds. Price was ninth in the stage and dropped in the overall standings to fifth position. Walkner, who incurred an overnight five-minute speeding penalty, was 11th in the stage and tenth overall. 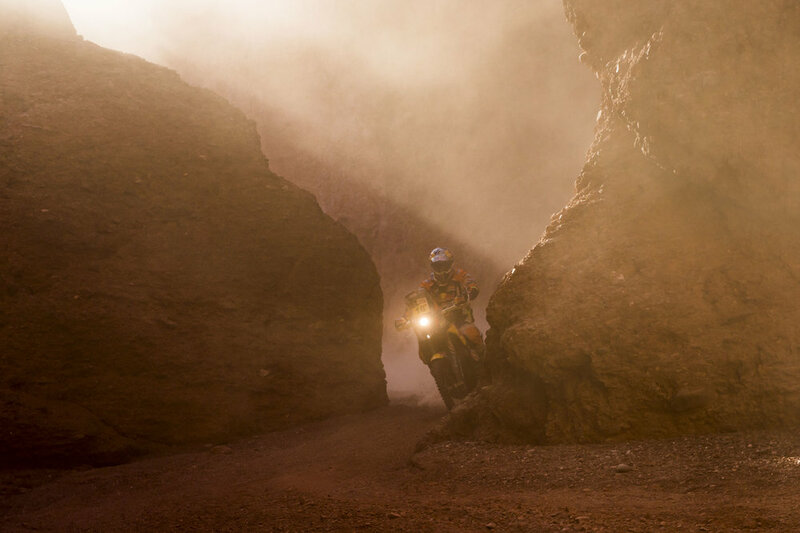 KTM Factory Racing teammate Laia Sanz finished 17th on her KTM 450 RALLY bike after the hard ride that took competitors from San Miguel de Tucuman to San Salvador de Jujuy – a total of 780 km with a total of 364 km over two timed specials. On a day that was particularly tough, Sanz is now 15th. Her goal is to improve on her 2015 result, her best so far at the Dakar, where she finished overall ninth. Rockstar Energy Husqvarna factory riders Pela Renet of France and Chilean Pablo Quintanilla finished a strong third and fourth in stage three of the Dakar Rally on Wednesday as the world’s toughest offroad competition began to reveal the dark side of what it has in store for this year’s competitors.